Mint is useful for everyone in many ways.It is used to gain the health and beauty.It also cures from the skin diseases and stomach diseases for both men and women.So this mint is used in the medicines in ancient days.It has widely used by the Greeks , Romans and the doctors of China and Japan. For the stomach indigestion problem ,decoction made with mint leaves is a good medicine. For the soar throat problem add salt to the mint decoction and gargle with it to get relief. For the fresh breath chew some mint leaves. In the case of menstrual cramps the mint tea acts as a good medcine. In case of acidity and diarrhea ,mix 5 teaspoons of lemon juice,2 teaspoons of honey,1/4 cup of mint juice. 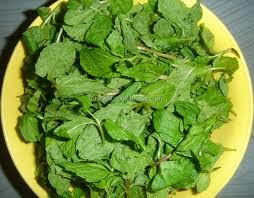 Those who were suffering with dry skin apply mint juice to the face at night and wash your face in the morning. Crush some mint leaves and apply its juice under eyes.